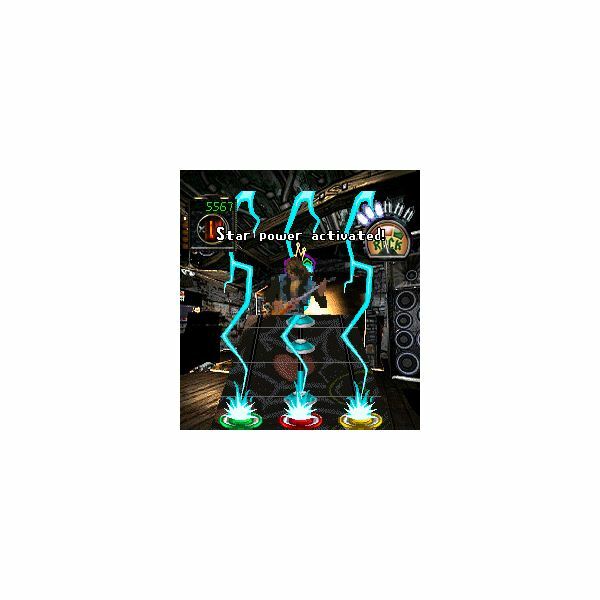 The Guitar Hero franchise has become one of the biggest video game successes of all time on most popular modern day game consoles. Now the same type of game play offered on the expensive gaming systems is available in a much more portable Windows Mobile 5.0 and 6.0 version. Check out our review. Guitar Hero 3 is available for use on Windows Mobile 5.0 and 6.0 Pocket PC device and installs with a very simple one file download. The Windows Mobile Game also requires 7.3MB of available system resources, either on a memory card, or directly on your Windows Mobile Device. Finally the game requires a $6.99 fee for download. Overall Windows Mobile Pocket PC users will find the program very flexible in its requirements and its to install in a quick instant. 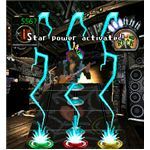 The original Guitar Hero franchise allows users to navigate through a depth of levels, earn special prizes and more. The Guitar Hero 3 Mobile version is no different, offering a host of added features that you'd be crazy to let pass you by. Playing on Windows Mobile I really enjoyed the ability to play in multiple venues (3 to be exact) with each venu offering 4 songs that increased in intensity as the levels increased just as they do in the console version of the game. I also liked that the songs didn't stop there. Every month 3 new songs are available for download, meaning you're game will never grow stale, no matter how much you played it. The song downloads can easily be downloaded via over the air options, or by using your devices WiFi offering. 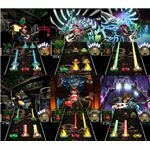 Character choices on Guitar Hero Mobile 3 are also for the most part on par with the original, including the ability to choose between 4 authentic Gibson guitar designs, while also unlocking special guitars, earning new achievement, and going for the high score among yourself and your friends. The game runs very smoothly relying on a toned down 3 button control interface. Sure its not as many buttons as offered on the console version of Guitar Hero, but given the smaller screen size of a Pocket PC device the three button design proves just as challenging as the original. The button feedback is also superb and on an HTC TyTN II I found that my button presses were registered instantly. Overall the controls are simple just like the original game with great feedback and an easy straight line setup that makes keepign track of what you need to press simple and accurate. The graphics on the screen are fluid with great output. In fact the setup will be very familiar to console players of the popular game. The buttons offer the same type of Zany graphics with backgrounds that match your current venue. Whether you're using a QVGA or VGA screen the streaming abilities of Guitar Hero 3 are optimized for the best possible playback abilities available for Windows Mobile. Overall Guitar Here 3 Mobile is a great Windows Mobile game. It offers simple installation, excellent gameplay, and a feel that's on par with the original console versions of the game. 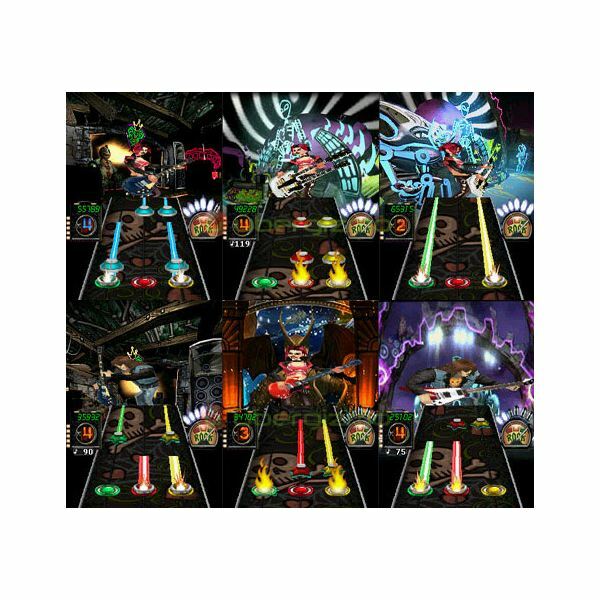 Whether you have a few minutes or a few hours Guitar Hero 3 will continue to please thanks to monthly updates, many levels of difficulties and the ability to challenge yourself and your friends on the go or at home. Have a few free minutes. I would suggest downloading Guitar Here 3 Mobile and giving it a try, you won't be able to put it down.